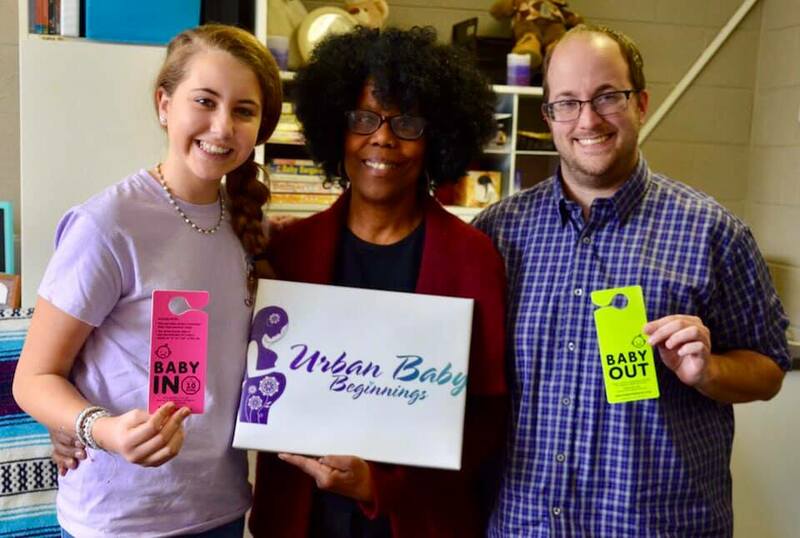 The BabyIn-BabyOut tags are available at number of locations, including Urban Baby Beginnings in Richmond. Hannah Rhudy began brainstorming ideas about how to make sure children were not left in a hot car after hearing last May about the death of five-month-old twins that had been left in their family’s SUV in Chesterfield. 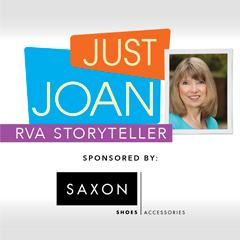 Rhudy researched the issue and found that in 2018, forty-nine children died after having been left in hot cars in the United States; four were in Virginia. Most of these types of deaths occur in the heat of the summer, June through August. But some also have been reported in late spring and early fall. Hannah came up with the idea of creating something that was a reminder that a baby was in the car. She thought about the handicap hangtags that people slip onto the base of their rearview mirror when their car is parked. “That was a good way to remind people,” she says. Working to help the community at large is something that Hannah learned from her parents and older sister, Morgan, who started Girl Power Grants, a community involvement concept founded by girls, led by girls and all about getting girls involved and making a difference in the community. Hannah started volunteering with her family at the age of four. “That was a big part of growing up,” she says. Hannah came up with the name BabyIn BabyOut for her hangtag project. She and her family worked with a designer to make a two-sided hangtag to visually remind parents and caregivers about the most precious cargo in the backseat. Currently Hannah has an inventory of 5,000 hangtags and 2,000 circular dash cards that can be used as an alternative to the hangtags. The hangtags are made out of PVC plastic that makes them heat and tear resistant. When the driver leaves the car, he or she flips the hangtag to show the green “BabyOut” side from the rearview mirror. When a baby or child is in the car, the driver displays the pink “BabyIn” side from the rearview mirror. 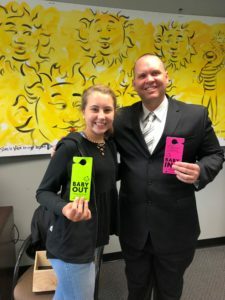 Hannah is in the process of creating partnerships with companies and organizations that can hand out the hangtags to parents and caregivers. Early partners with pick up locations for BabyIn/BabyOut include Bon Secours Family Centers, the Chesterfield County and City of Richmond Police Departments, the Goochland County and Powhatan Sheriff’s Offices, KidMed (four locations) and Urban Baby Beginnings. “We want to get the hangtags in hospitals and doctors’ offices,” Hannah says. One of Hannah’s goals is to spread the word about BabyIn BabyOut across Virginia and the East Coast. Sheis currently working on a Spanish translation for the hangtags. “We could go nationwide to save as many lives as possible,” she says.